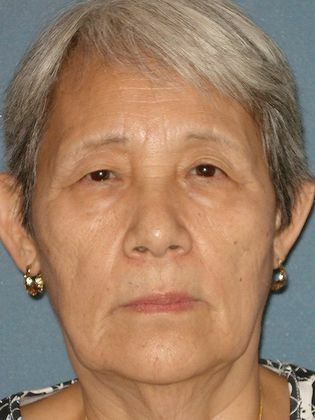 This 71 year old female from Surprise, Arizona came in to consult with Dr. Justo regarding her eyes. 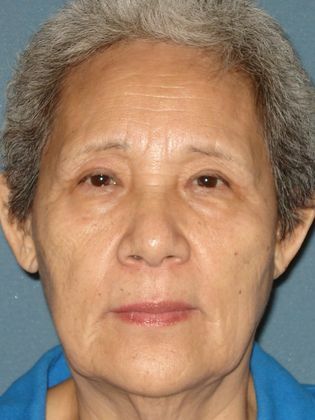 She was concerned that she was limited in her cosmetic surgery options because of her Asian descent. The patient stated that she is bothered by the excess skin on her eyelids and said that she constantly arches her eyebrows to see better, but this leaves her fatigued and causes headaches. Dr. Justo and this patient decided her best option was to undergo a bilateral upper lid blepharoplasty (eyelid surgery). The patient was deemed clinically significant and insurance covered a large portion of her fees. The patient is very pleased with her results.